The Central Library, JISCE started operating in the year 2000 with the establishment of the JIS College of Engineering, kalyani.Since then it has grown in content of books. Since then many automation have been adopted to facilitate reading environment of the institution. Large reading room located at the top of the building yields reduction of external noise. Digital Library with multimedia facility to each computer located adjacent to book bank distribution section. In addition to online Public Access Catalogue students are open to access books in the rack to choose their references. To become a member of JISCE, Central Library: Must be student of this College: the time to Registration for membership students must be produced fees book and two stamp size colour photograph. Incase of the employee he/she should deposited a permission letter from Director / Principal for Library Card. BBA, BCA students may borrow 4 books and M.Tech students facility to borrow 5 Books each from Library. They Have no Book Bank facility. 4th Year B, Tech Students may borrow 6 books for the period of four months from Library. They have no Book Bank facility. Faculty Members may borrow 6 books and staff may borrow 3 three books from Library for period of 30 days. Loan period of General Library Books is for 15 Days. Renewal should be done two times for Library Books. It is applicable for students. Rs.1.00 (one) fine will be charged per day if loan period has been over. Any library members may borrow 2 (two) CD/DVD for the period of 7 days from digital library. If library card lost members should be made written application to Librarian with one stamp size colour photograph for the duplicated library card and this duplicated library card is Rs.25.00 (twenty five) only. Library card must be produced at the issue counter at the time of issuing books from library and book bank both. Before leave counter for book borrowing and deposited time. No complain accepted about pending for depositor borrowing books by leaving counter or latter. Timing of Book issues: B.Tech-up to 3rd year and BCA (Monday to Friday) 10.15 A.M.to 1.00P.M.and 2.00P.M. to 5.00 P.M.Saturday: 10.15 A.M.to 1.30P.M. MBA and BBA-1.00 P.M. to2.00 P.M. M.Tech, MCA and B. Tech (4th year) (Monday to Friday 10.15 A.M. to 5 P.M.and Saturday: 10.15 A.M. to 1.30 P.M.
Any type of BAG not allowed inside the Library premises (Reading Room, Library Stack area, Digital Library).Â Facility of Baggage Counters available in Library. Up to B.Tech 3rd year ,MBA and MCA up to2nd year has been provided Book Bank facility (5 books for Six Months) fromÂ New Book Bank (2nd Floor,Dr. B.C.Roy Auditorium Building â€“Timing from 2.00 P.M. to 4.00 P.M.: IssueÂ Dates: First & Second Month of Each Semester only: after that Book Bank will be close.) Book Bank Book must be deposited after completed semester examination. No books will be issue to students for new semester if he/she failed to deposit previous semester books. In Reference Section library will be open 08.00 A.M. to 8.00 P.M.Students may get 2 (two) Books for reading purpose at reading room for producing library card. Digital Library will be open 10.00A.M. to5 P.M.
Use of Mobile Phone strictly prohibited in Reading Room/Digital Library/Other part of the Library. If any members of Library should lost borrow books ho/she should be replace it. If there is not available lost book in market Â Â Â Â Â then he/she should be deposited three time value of the book in the Account Section. In case of rare books, value of the books will be decided by Central Library Authority. Library members should use libraries XEROX facility on the payment basis for those books which not to give permission to allow out side of library premises.Xeroxx rate has been decided by the College Authority. At Digital Library and Reading Room any entertainment type of material download and view strictly prohibited. Central Library has Library Committee. Chairman is Principal. A Convener/ Member Secretary is nominated by Principal, member of the Committee will be generally all HODs, In-Charge of CL, and Asst. Librarian. Students also nominated as members of the Committee by Chairman. Major policy and Operational decision should be approved by the committee. Fines are applicable equally to all Bookbank Books and Library Books..
All fourth year students books loan period is four months. By maximum period of about four months they should submit or renew books. If any student does not timely renew or return their books, fine should be continued automatically. 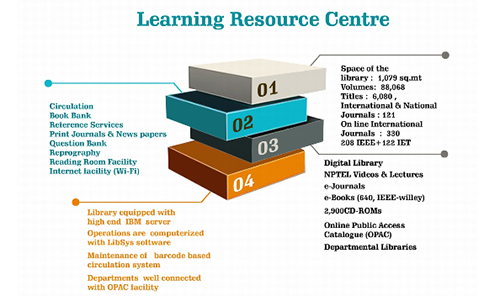 Digital library facility is accessible within institutional URL by all students’ faculties and Staff members. All concern is hereby informed that Library book distribution shall be withheld temporarily due to odd semester examination from 01.12.2017 (Friday) to 23.12.2017 (Saturday). Book distribution process shall be resumed from first working day of January 2018. Book submission shall be continued.